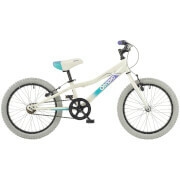 The DeNovo Dotti 24 Heritage Girls bike has a classic heritage look. 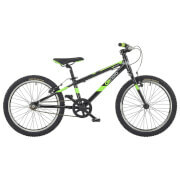 The bike comes with a choice of components that ensure durability and a smooth ride. The quick release mechanism on the seat post makes it convenient for easy adjustment to the seat height. 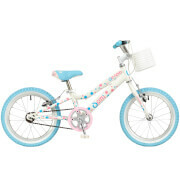 The distinctive Polka dot design, makes it a delightful bike to look at and smart one to ride. There are a few simple steps to complete after unboxing the bike - watch the video. I bought this bike for my daughter for Christmas and she absolutely loves it! She has been out on it everyday and says it's great to ride. So im very happy! Thank you! Very comfortable with the saddle. Brakes are perfectly functional and the chain set’s tight. Lubricants once in a while would help even better. Worth the price and practically maintenance as well as hassle free.